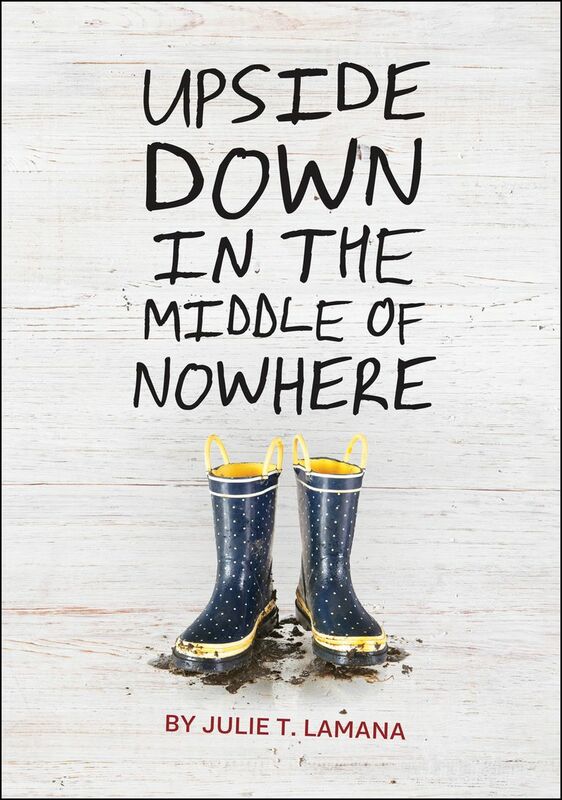 In Upside Down in the Middle of Nowhere by Julie T. Lamana, Armani Curtis, a young African-American girl living in the Ninth Ward district of New Orleans, is completely uprooted from her world when Hurricane Katrina rips through her neighborhood. In her search to be reunited with family members, she discovers personal strengths and the real meaning of community. The publisher lists the book for ages 10 and older. It's late August 2005 and 9-year-old Armani Curtis, looking forward to her birthday weekend, cannot wait to join the double digits club. Nothing, not even the persistent rumors of a storm, can burst Armani’s excitement until she notices her parents’ apprehension. Focusing on her celebration, Armani is disappointed when the other members of her family, including her beloved MeMaw, seem preoccupied with threats of a dangerous storm. When her older brother Georgie tells her the next door neighbors are evacuating, she makes him promise not to tell her parents until after her birthday. Despite their worries and a stormy black sky, Armani’s parents celebrate her tenth birthday with a Bar-B-Q, a delicious buttercream cake with blue frosting, and a brand new puppy which she promptly names Cricket. The celebration is cut short when a neighbor bursts into the backyard telling everyone it’s too late to evacuate and to prepare for a major storm. Powerful winds begin to blow shattering windows and panic ensue when Georgie notices a rapidly approaching wave of water rolling over everything in its path and heading towards their home. The levee protecting their Ninth Ward neighborhood has broken and there is nowhere to go. The family flees to the attic to save their lives, but their nightmare is just beginning. Trapped in the attic with the floodwaters rising, Armani’s asthmatic baby brother is gasping for air while there are only a few bottles of water between them. Their crisis grows more distressing as Armani’s brother and then her father, jump into the fast-moving floodwater to capture her birthday puppy. Stranded, the family of refugees must wait for rescue while worrying about the outcome of those family members who jumped into the water. Once on dry land, Armani is left to watch over the younger kids while her mom searches desperately for a clinic to help the sickly baby. Armani realizes it is up to her to keep her small group together amidst the crisis around her. In the process, she discovers how to trust, how to survive, and how to nurture hope in the face of great despair. Julie Lamana knows first-hand the destruction brought on by Hurricane Katrina. In 2005 Lamana worked as a literacy aide in a Louisiana school. 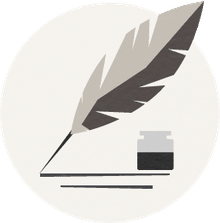 In the aftermath of the hurricane, she helped displaced children and found in her experiences the seeds to write a story. As a child growing up in a military family, Lamana moved many times and found it difficult to create lasting relationships and thus found comfort in books. Now retired from education, she spends her time writing and is currently at work on her next middle-grade book. Lamana and her family Lamana live in Greenwell Springs, Louisiana. For readers who like survival stories, Upside Down in the Middle of Nowhere is a fearsome read. Real life scenarios based on Julie Lamana’s personal experiences dealing with Hurricane Katrina create the story foundation for those uncertain first few days in the Ninth Ward district of New Orleans, Louisiana. These experiences provided material for an authentic, emotional story for readers who value accurate detail and realistic characters. The character of Armani Curtis transforms from a self-centered, judgmental child, to a conscientious young girl who learns to accept and trust others. Despite many warnings of the approaching storm, Armani is determined to not let anything take away from her special occasion. Lamana deliberately highlights Armani’s self-centered character (pretty typical of her age) so readers can clearly identify the great emotional changes the hurricane brings about forcing Armani to put aside her childish ways in order to make independent and protective decisions about her younger siblings. Within a matter of days, Armani’s childhood vanishes. Fear and distrust color her every action, but over time Armani begins to allow others to help her rebuild trust. Like a gathering storm, this story starts out at a leisurely pace gradually building in intensity. A typical day of riding the bus, dealing with bullies, and sitting on the front porch swing with her beloved MeMaw slowly moves into whispered rumors of a gathering storm. Television newscasts, neighbors’ midnight evacuations, and an ever-changing colorful sky take Armani and her family from a birthday celebration to a fight for survival. Julie Lamana has personal experience with Hurricane Katrina and she witnessed the devastating physical, social, and mental effects of the hurricane. Hence, she gives readers an authentic story where a very young girl must deal with death, disease, and despair. While not graphic in detail, there is no sugarcoating about the dead bodies floating in the water, the mass looting, or desperate “crazies” that Armani meets as she struggles to make sense of the chaos around her. Chronicle Books provides a fantastic Upside Down in the Middle of Nowhere reading guide in alignment with Common Core for teachers and parents. Learn more about hurricanes in the middle-grade nonfiction book Inside Hurricanes, and check out these recommended hurricane books for children. How Does Spanish Use Upside-Down Punctuation?